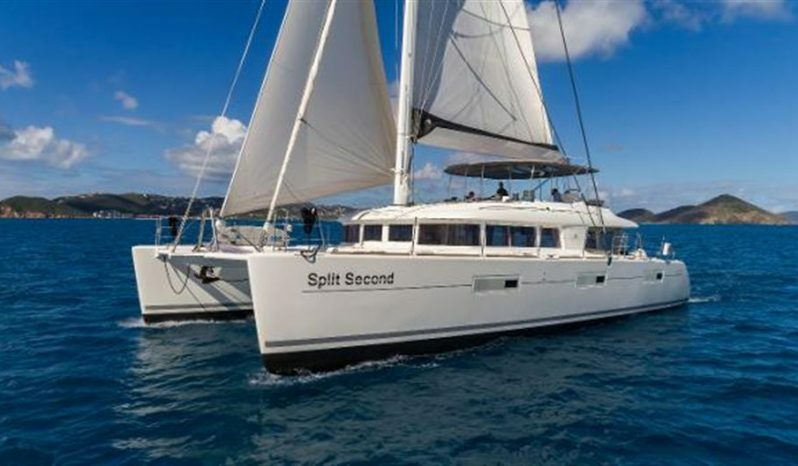 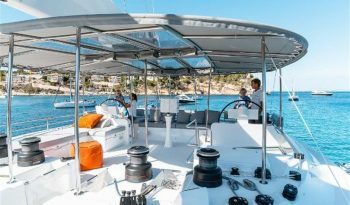 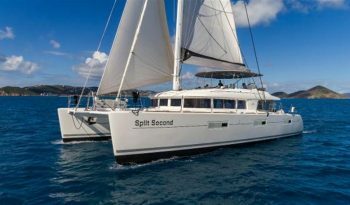 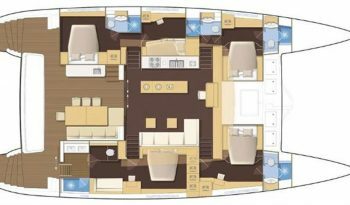 Split Second is one of the most well maintained and optioned Lagoon 620’s currently on the market. In late 2017 she went through an extensive yard period where all of her exterior softgoods were replaced, all mechanical equipment serviced, hauled, and painted. She has a very successful charter history, and has over $300K in charter revenue on the books for the 2017-2018 season. 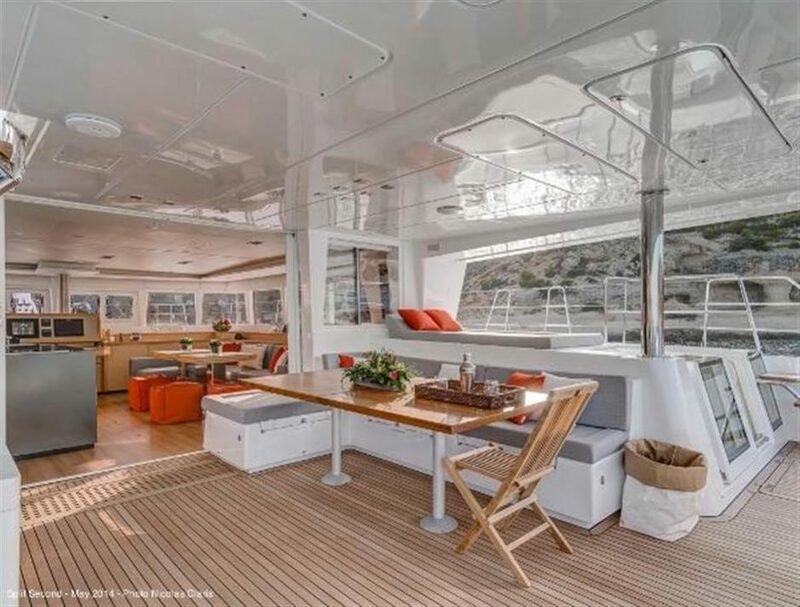 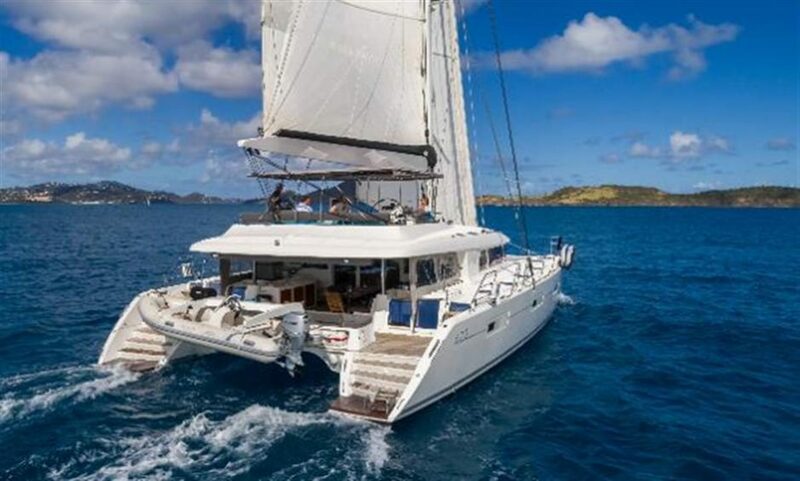 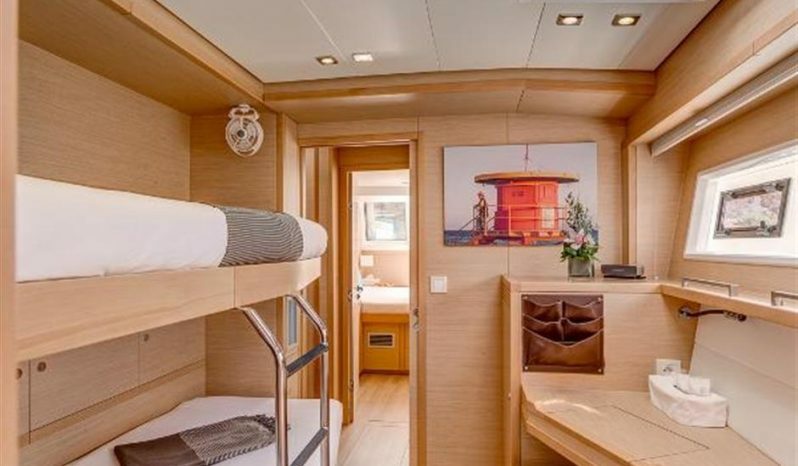 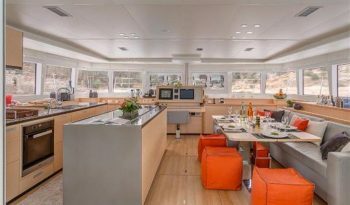 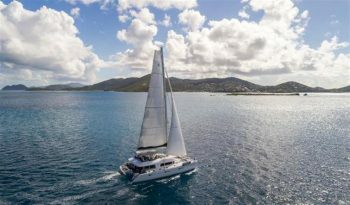 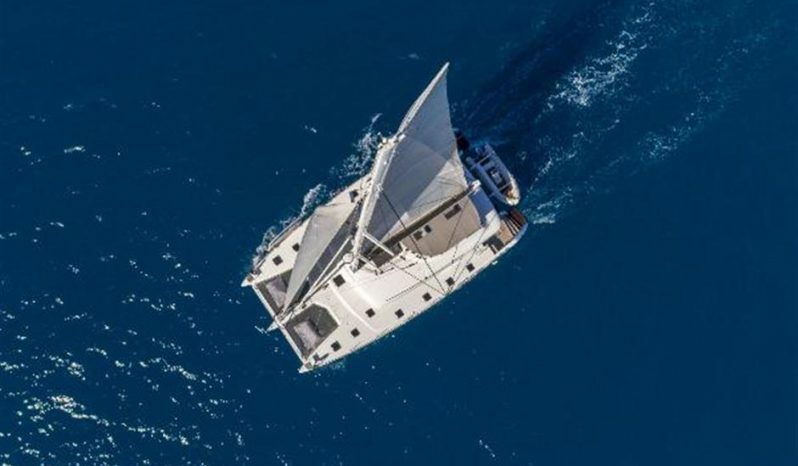 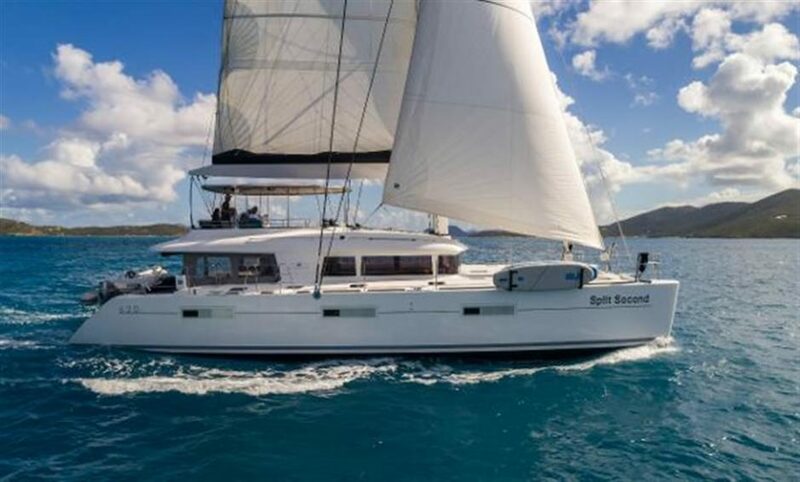 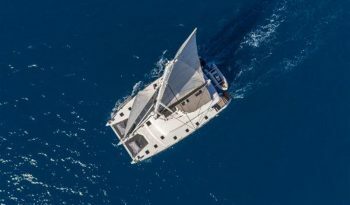 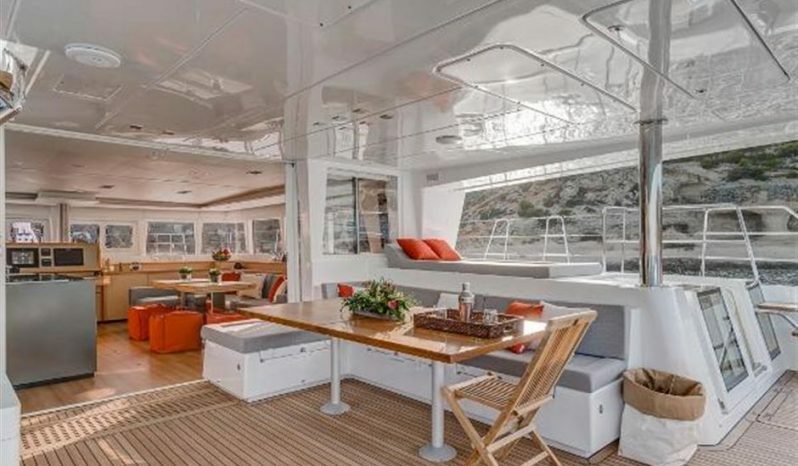 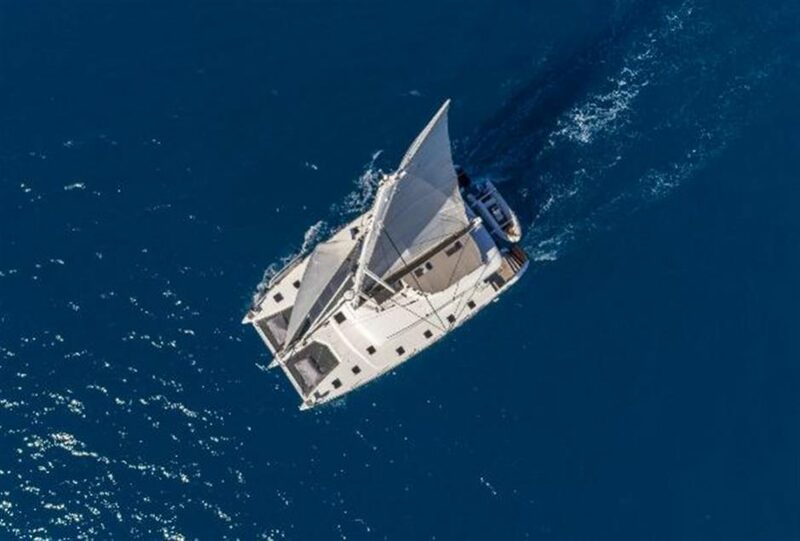 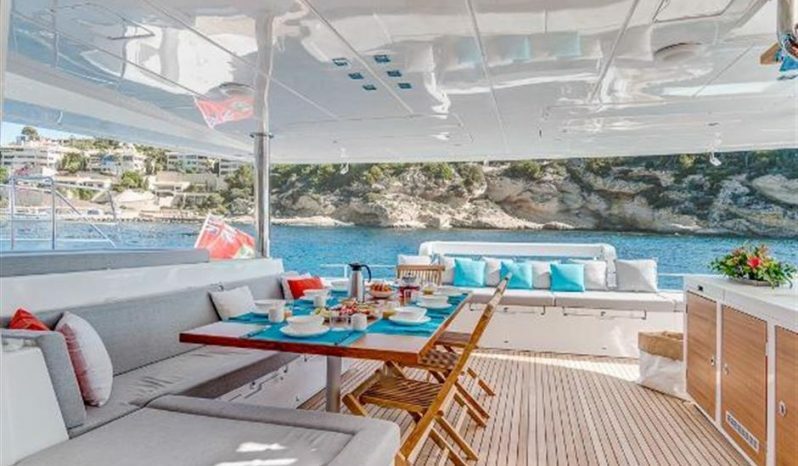 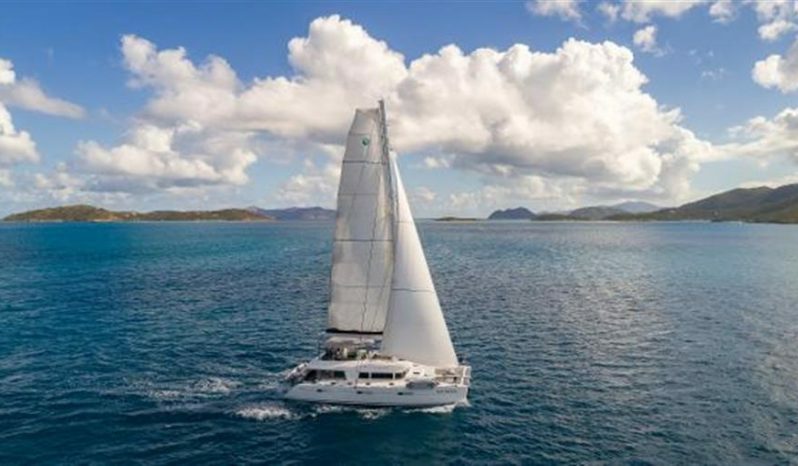 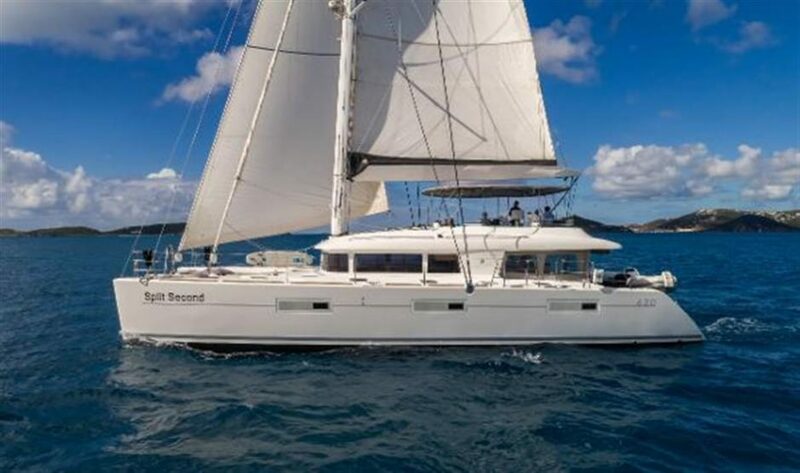 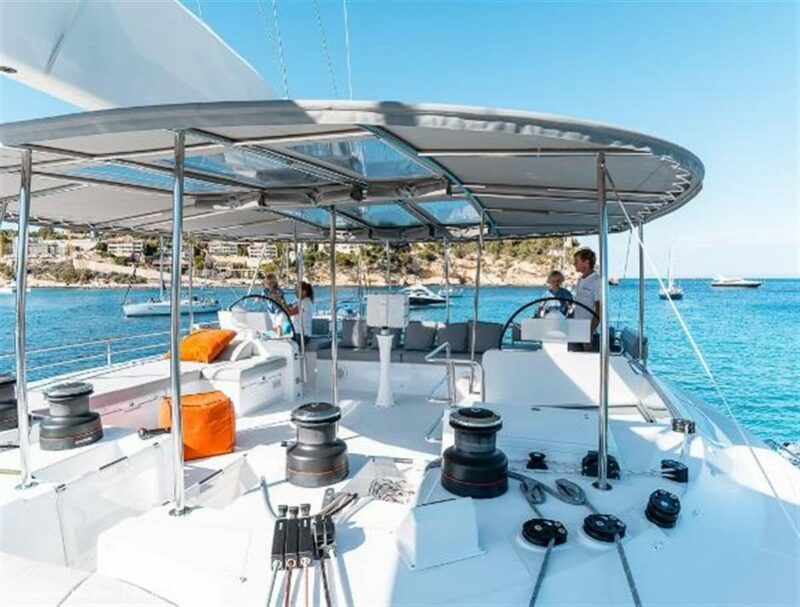 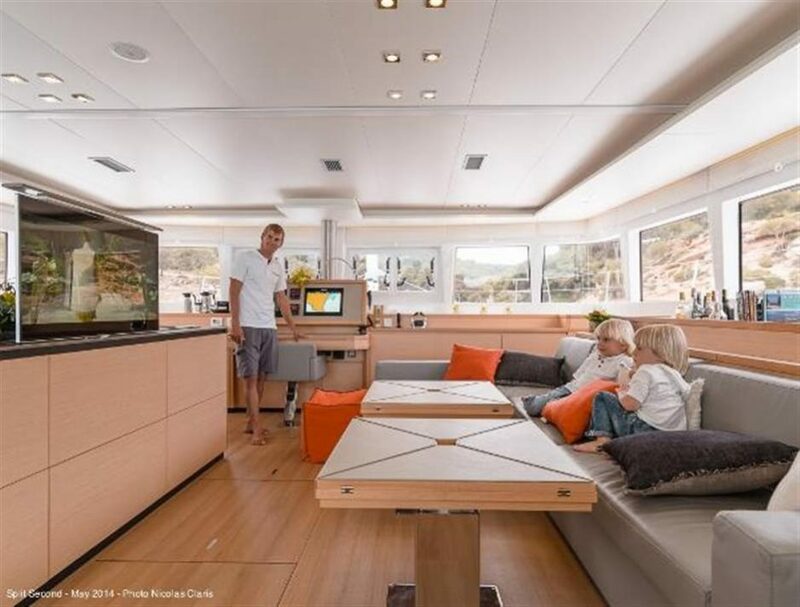 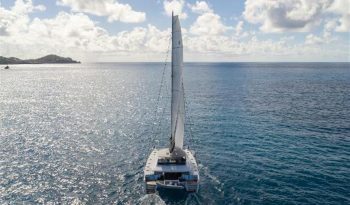 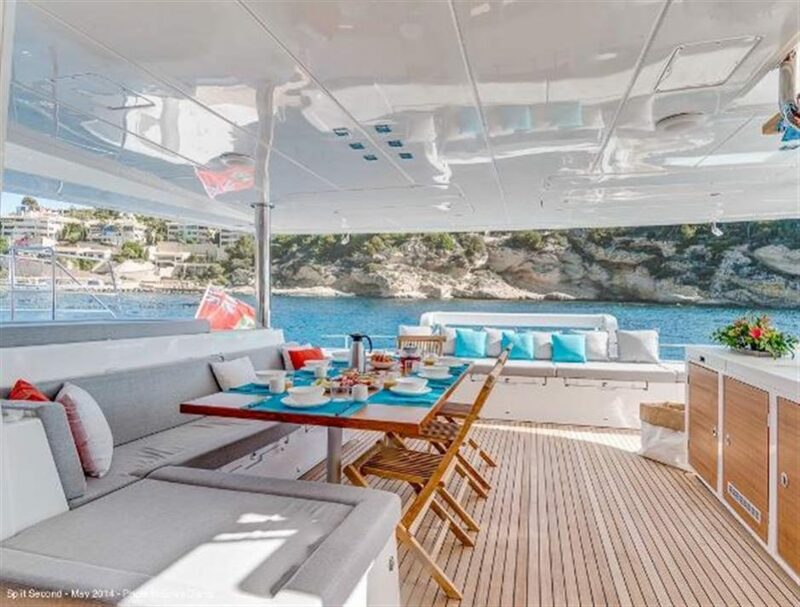 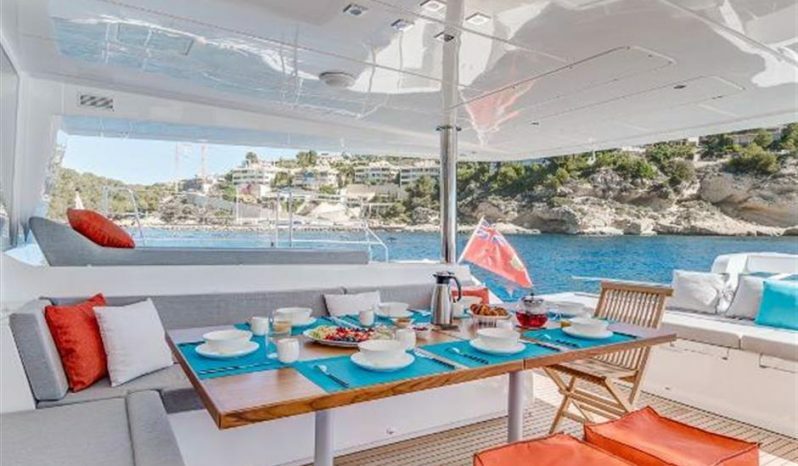 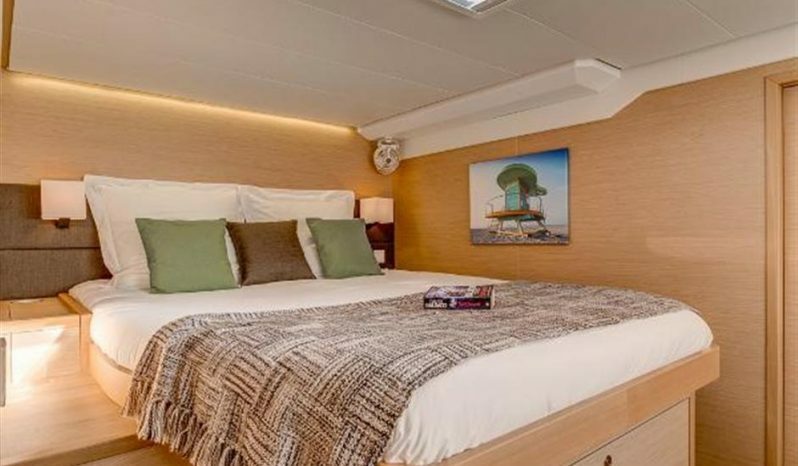 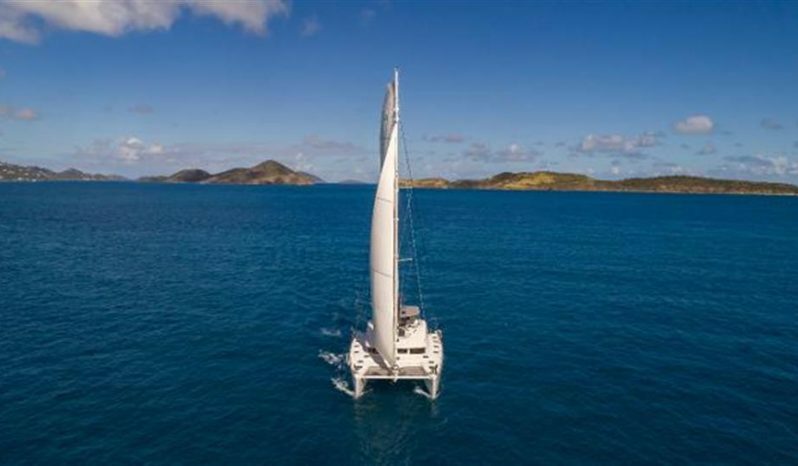 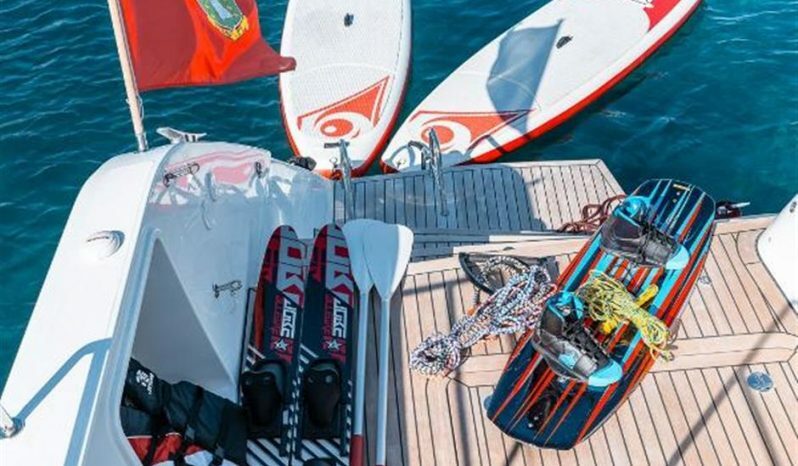 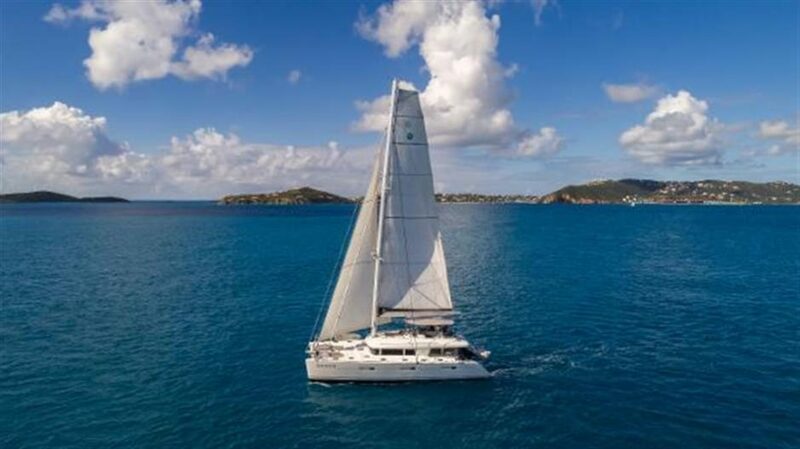 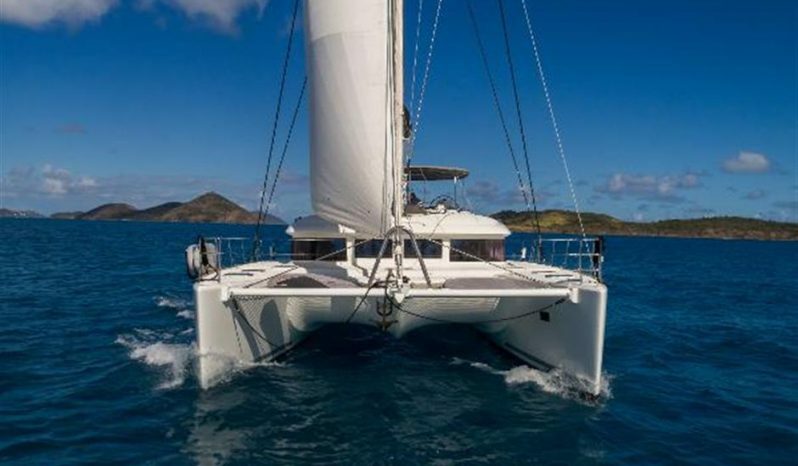 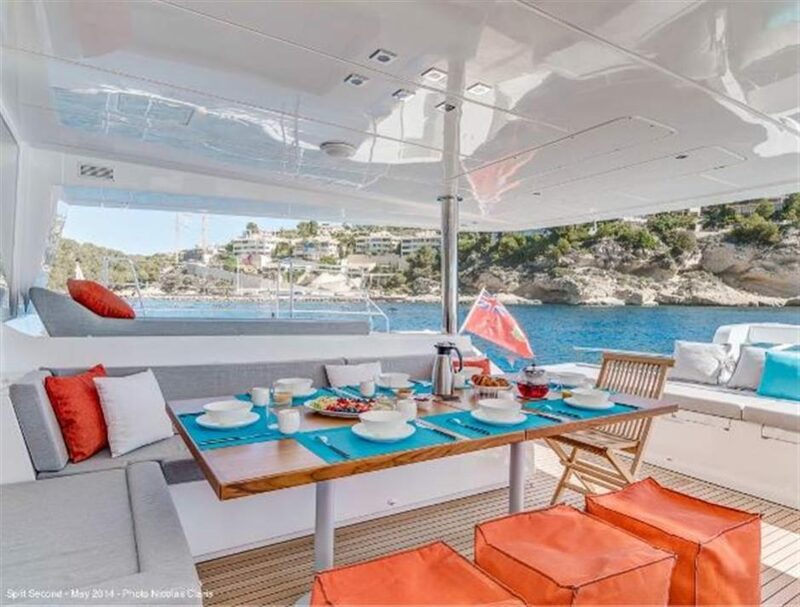 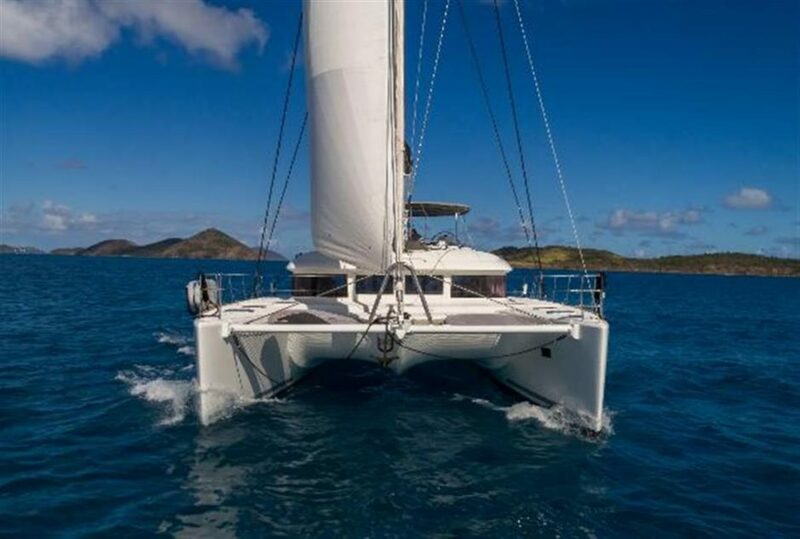 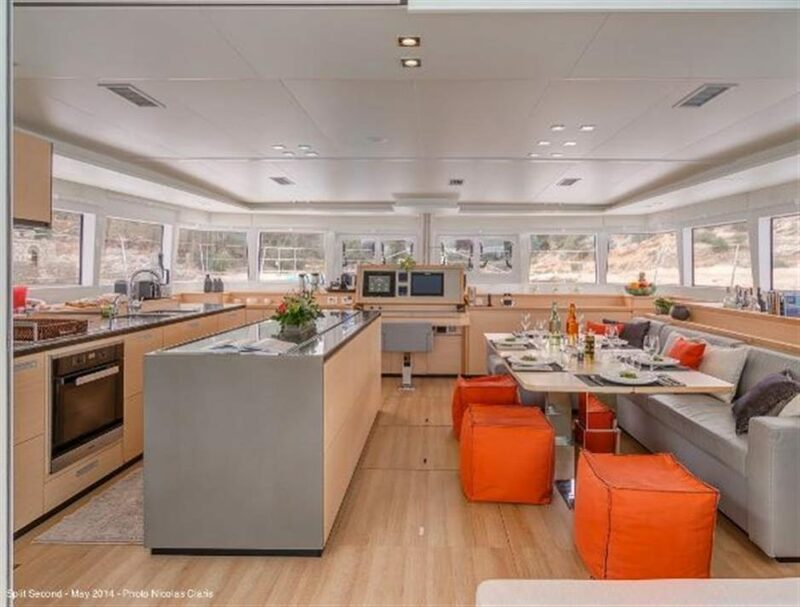 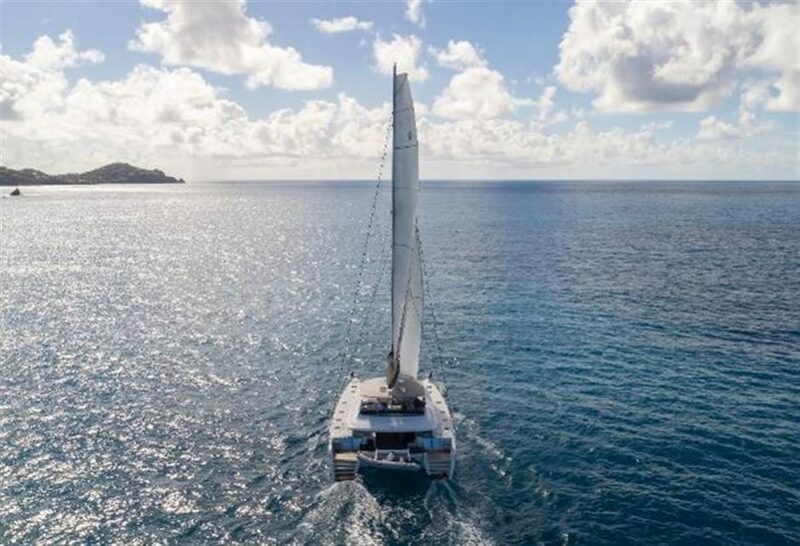 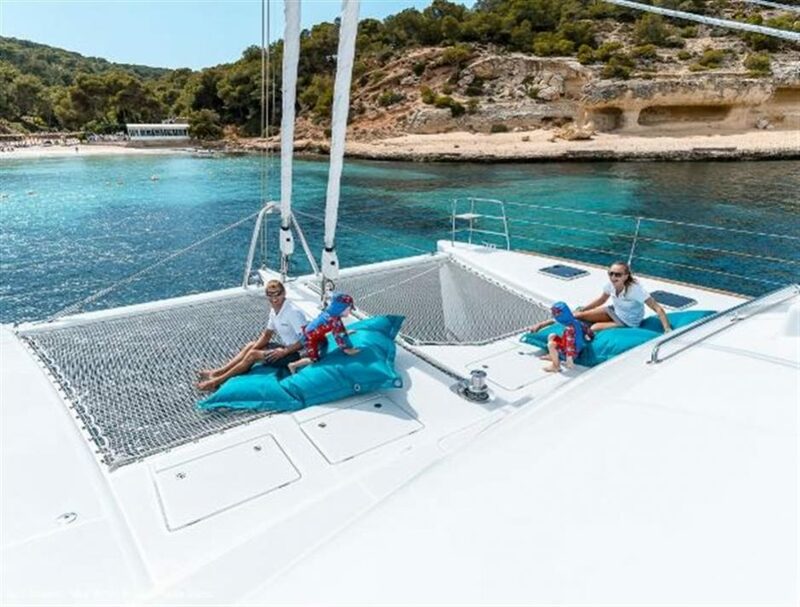 The seller has placed her on the market to make room for his new catamaran. 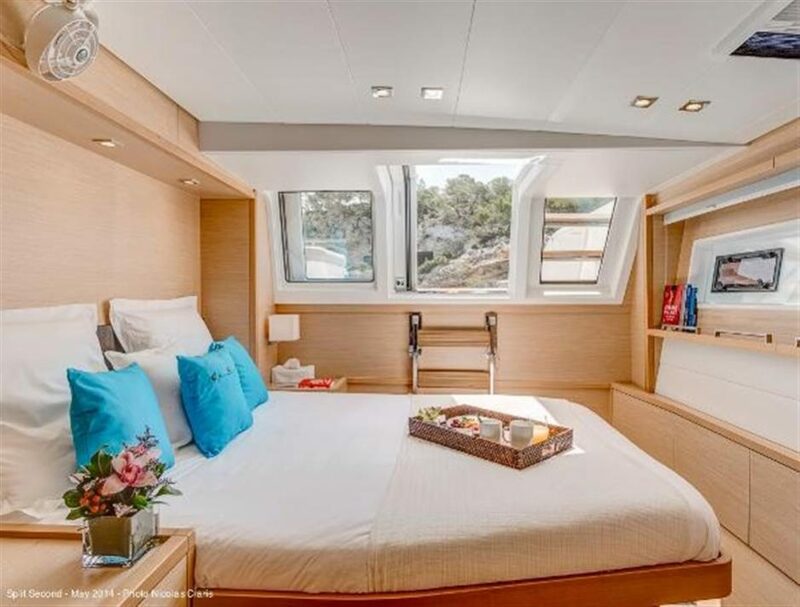 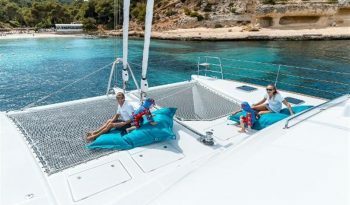 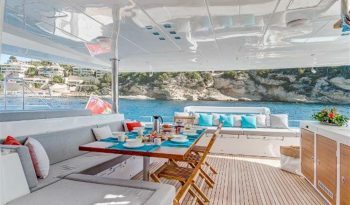 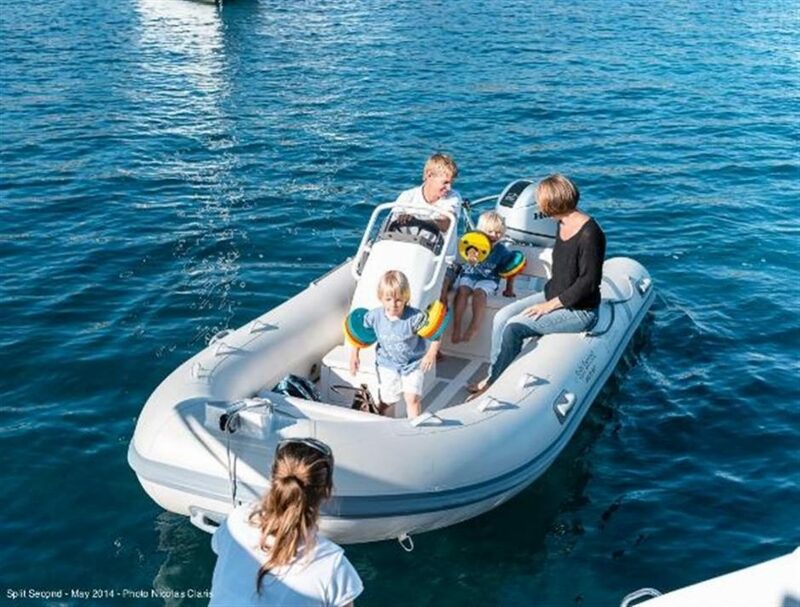 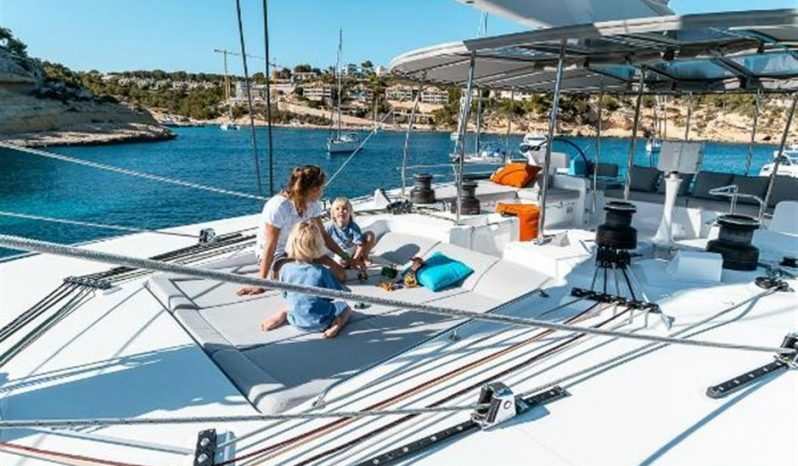 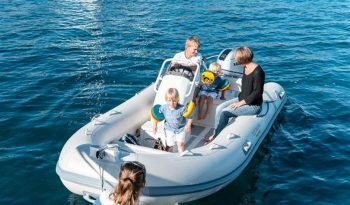 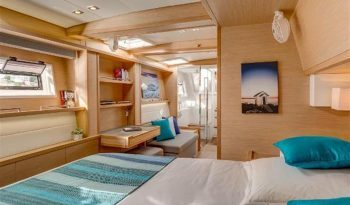 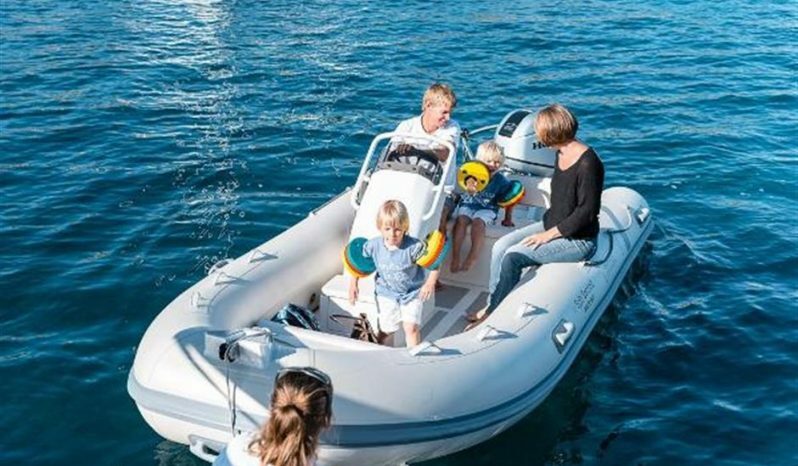 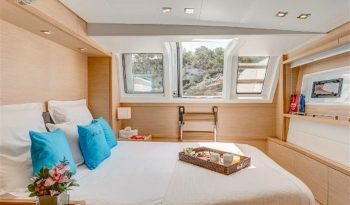 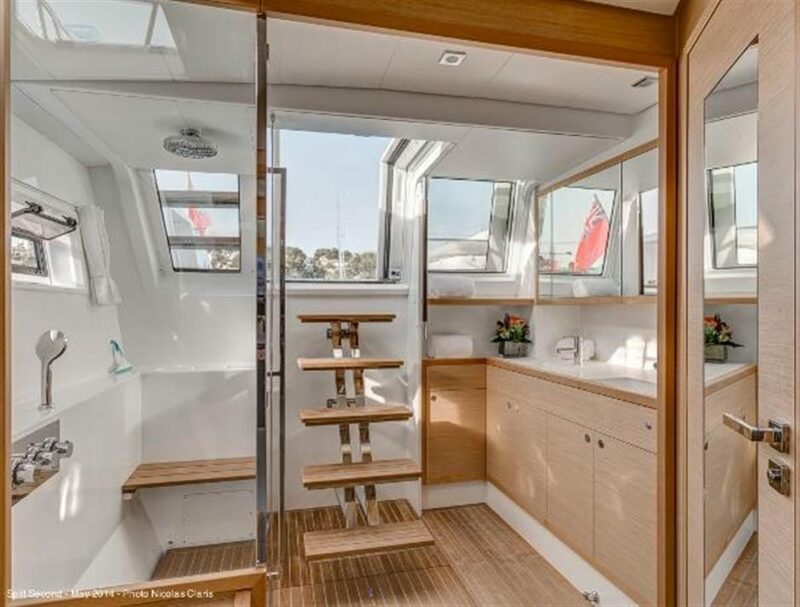 Designed by the architects Van Peteghem and Lauriot Prévost (VPLP) in association with the Lagoon R&D department, the Lagoon 620 is an innovative solution to the needs of today’s cruising yachtsman. 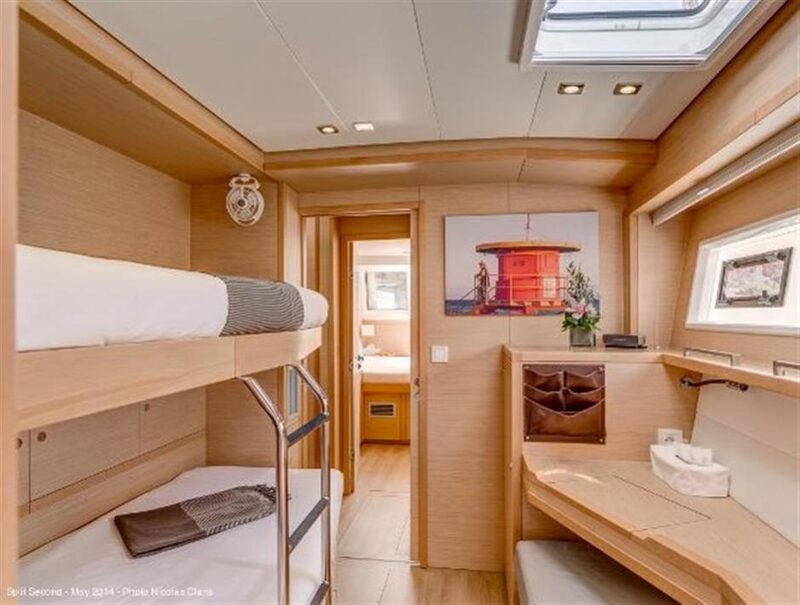 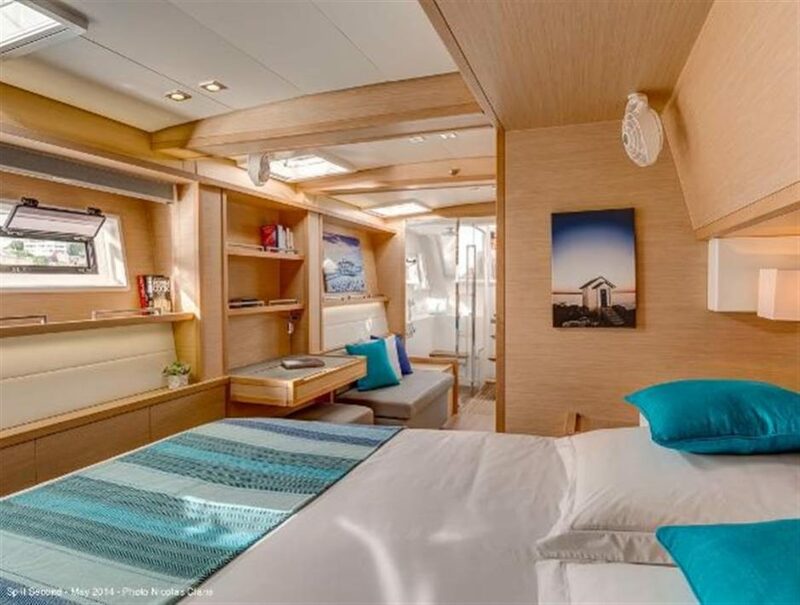 On the starboard side, the master suite has also been substantially modified, with a washroom now placed aft on either side of the cockpit access stairs, making room for a large cupboard space in the bedroom. 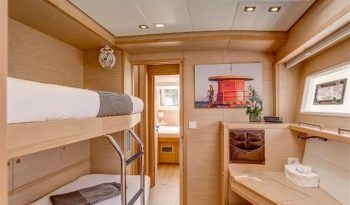 The forward starboard cabin, now a real V.I.P. 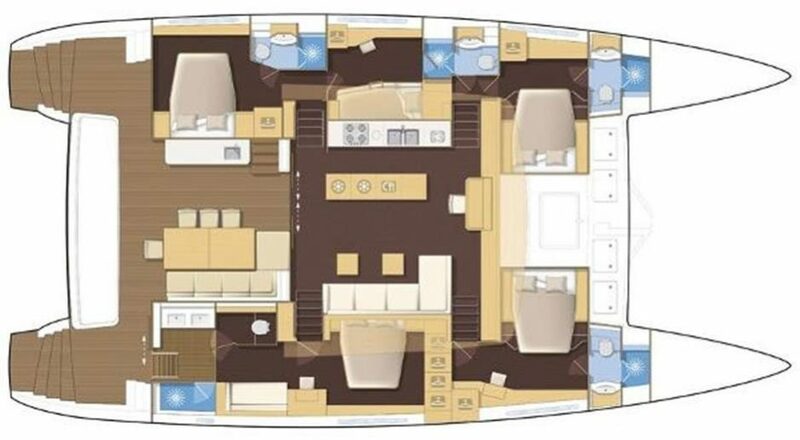 suite, also benefits from this change due to the volume freed up by the repositioning of the master washroom. 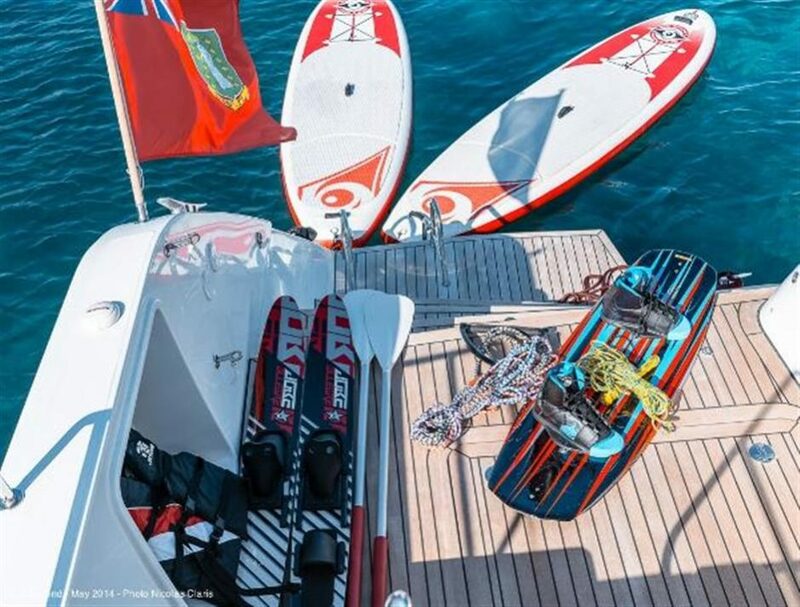 Infused FRP + balsa core with polyester and high quality anti-osmotic resins. 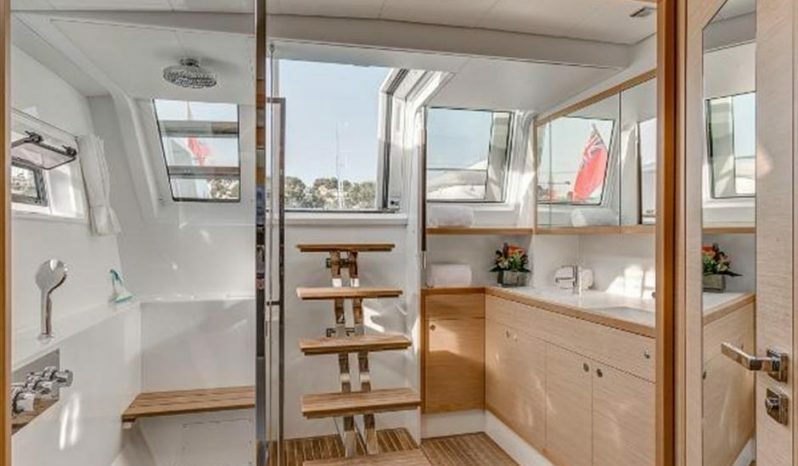 Chain locker to starboard of the windlass. 3 deck lockers 2 to port and 1 to starboard. 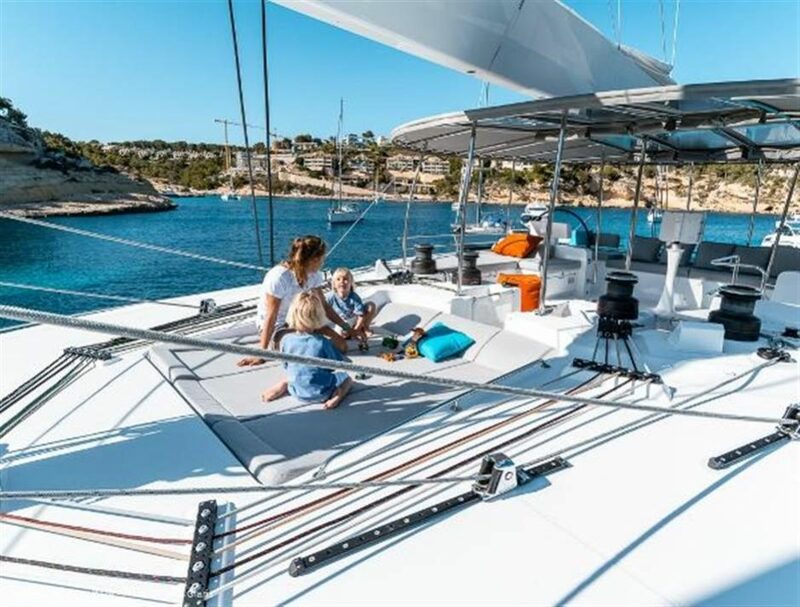 Composite longitudinal compression beam including anchor chain run, forestay chain plate, staysail and gennaker tack fittings (staysail and gennaker optional). 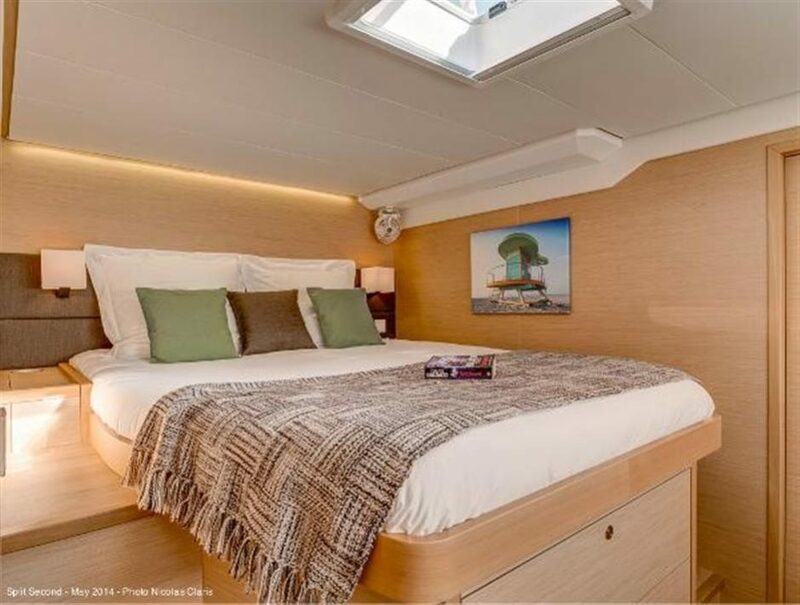 General cabin lighting with switches at the entrance and by bed sides + reading lights.